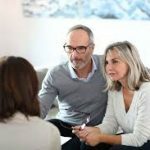 Talk to Your Family Over the Holidays About Your Estate Plan | The Levin Law Firm - Philip Levin, Esq. sharing their wealth and legacy with their families. a) Your intentions regarding the distribution of your estate were not made clear, resulting in the potential for costly and time-consuming conflict. b) Your family members did not understand, or share your values and wealth management vision, resulting in the possibility of asset dissipation. The good news is both of these issues can be prevented through honest communication with your family now. While it’s not necessarily comfortable to broach this topic, a family gathering over the holidays might be the best time to have a conversation with your children and loved ones about your estate plan. Passing along our wealth is one thing, but what about passing along the values of work ethic and generosity that enabled us to acquire and grow that wealth in the first place? Too many fortunes built by one generation are lost by the next generation, often not due to bad luck or taxes, but due to a lack of understanding of wealth management and preservation. Also, when your family does not appreciate the rationale behind your estate planning choices like the use of lifetime trusts, this lack of understanding can lead to conflict and resentment among family members. In a worst case scenario, your beneficiaries end up in a family fallout and suing one another. No one relishes the idea of family being torn apart over antiques, heirlooms, or who gets the house on the Cape. Nevertheless, it happens far more often than anyone cares to admit. The question of whether to tell children about their inheritance is the subject of ongoing debate. Many people express concern that this information might reduce a child’s incentive to work or cause them to feel entitled, reducing their motivation to seek a career and a “normal” life. Depending on the child’s temperament, this might be a legitimate point. On the other hand, inexperience and lack of understanding about wealth can result in an inheritance being lost or consumed very rapidly, because your beneficiaries were not properly prepared and did not know how to manage property received outright in one lump sum, potentially at too young an age. The best path for most of us is a “happy medium,” whereby you share your estate planning desires in general terms with your family, without necessarily telling them the total dollar values. You might even entrust some family members with partial responsibility for investment and entrepreneurial opportunities now, before they inherit your estate. In this manner, family members can begin to share your guiding values, and be better prepared to handle, manage, and even grow their inheritance when they ultimately receive it. While you may have already put careful thought into which assets distribute to specific beneficiaries in the event of your passing, when the details of and estate plan are placed upon people, especially during a time of grief, differing opinions can create conflict. If your family unexpectedly discovers upon your death there is a significant amount of money to be distributed, and you have not shared your rationale behind the decisions you have made under the terms of your estate plan, then you have set the stage for conflict and infighting – possibly even a costly and lengthy lawsuit. 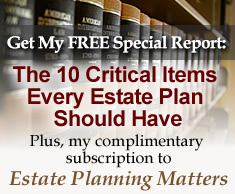 To overcome these challenges, we recommend that clients frame their estate plans around guiding principles, communicate your intentions thoroughly in your Will or Trust, and explain your vision clearly to your fiduciaries and beneficiaries while you are alive, well, and able to explain your intended desires. By attaching your individual values to your estate plan, and involving your family in the process, your estate plan can become a family plan, minimizing the risk of conflict. 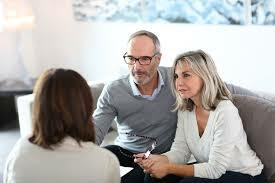 Once you have committed to discussing your estate plan with your family, what should you share specifically? Should you detail the entire plan with them, or just an outline of it? Should you go into detail about who gets what? The specifics of what should and should not be discussed about your estate plan will depend on the dynamics of your family, your individual circumstances, and your overall level of comfort about how much knowledge they should have about your plan during your life. You do not necessarily have to reveal specific dollar amounts particular assets at this meeting. One big caveat – if there is anything in your plan that might result in controversy, concealing it now may easily invite conflict later. Therefore, a good basic rule of thumb is to share as much as is necessary to get everyone on the same page. Plan the meeting after the holiday, if possible. If you are gathering the family at a holiday like Thanksgiving or Christmas, try to arrange the actual meeting to take place after the holiday itself, so a potentially uncomfortable conversation does not spoil any planned festivities. Schedule the meeting in a quiet place that encourages candid conversation. A public place is probably not appropriate for this discussion. Set an agenda. Encourage open conversation, especially on any controversial points, but have a clear list of points to be covered, so you do note forget anything in the midst of emotional moments. Set a start and stop time. This step will help the meeting stay on track without gravitating away from the main points. If something significant comes up, you can always continue the discussion later. In some cases, there might be questions from your family and your professional advisory team can, with your permission, answer questions, especially those of a technical nature. In family meetings regarding estate planning matters, we recommend that you tailor the role of your financial advisor, attorney, and accountant to your specific circumstances, along with your personal goals and objectives. Your estate planning attorney should be prepared to provide you, and potentially your family, with a brief presentation of your estate plan as part of the meeting agenda, or simply be present to clarify points. When appropriate, one or more of your professional advisors from your team can even act as a facilitator or moderator during the meeting. Many of our clients have arranged for family meetings at our office which include the client’s financial advisor and accountant. Sessions have run from high level overview “big picture” meetings to very detailed discussions. Frequently, family meetings about estate planning serve as a starting point for future conversations about your long-term estate planning goals and objectives. If you would like to arrange a complimentary consultation with estate planning attorney Philip E. Levin, Esq., to discuss effective wealth transfer and business succession planning strategies for yourself or your clients, please contact us to arrange a meeting at (610) 977-2443.